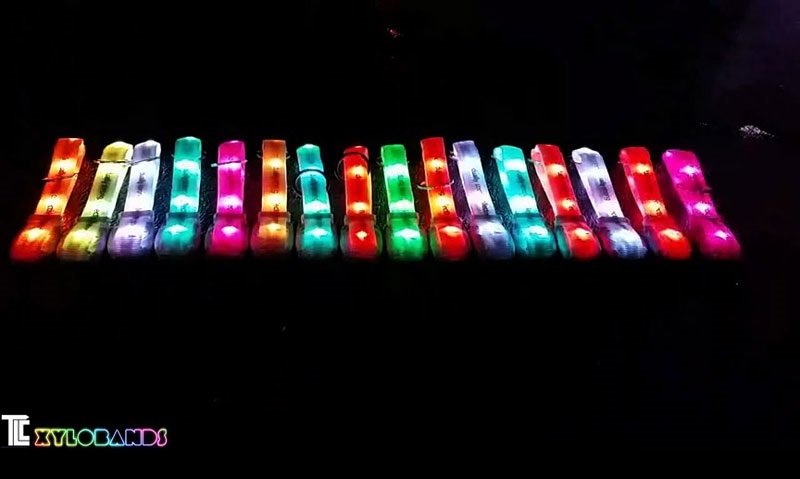 Xylobands have already revolutionized live entertainment with interactive lighting guests wear, but now Xylobands feature FULL COLOR control with RGB LED’s that can create MILLIONS of colors on each wristband. Each wristband can now display any color or any shade, including white, and can change to any other color or shade instantly or slowly. All kinds of new interactive options are also available on the bright, live-controlled wristbands, adding to their success and power as a great motivational tool at meetings, concerts and events. 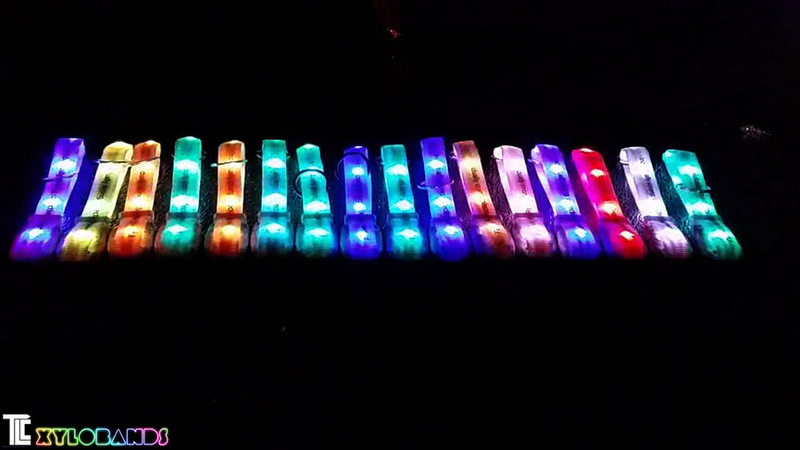 The new technology XyloBands that are now available can display any, and ALL, colors, and can show-off all kinds of new programming and display options. Xylobands can crossfade from any color to any color, or fade the light up or down at any speed. The ability to crossfade colors allows more subtle and interesting patterns and combinations, especially useful when synchronized to an open video or similar multimedia presentation. Also featured with the new bands is expanded visual control, with dozens of additional groupings that can be created for independent display. Audiences are transformed by the group experience when wearing the interactive light-up XyloBands, joining together as a group in an entirely new way. Concerts, celebrations, parties, meetings, are all reinvented using the new technology that literally puts everyone in sync. From full stadiums to small venues, the effect is powerful in each situation. The wristbands can be specially programmed to flash or pulse or shine in different zones or areas of the event. Each section of an event can be controlled with unique colors and zones all controlled separately. The light area of the XyloBands wraps the entire wrist with light and extends an extra piece of light band off the wrist, so they are the brightest possible wristbands available. BRIGHTEST WRISTBANDS: XyloBands are the brightest interactive light-up wristbands available! XyloBands are so bright they can light up an entire event! 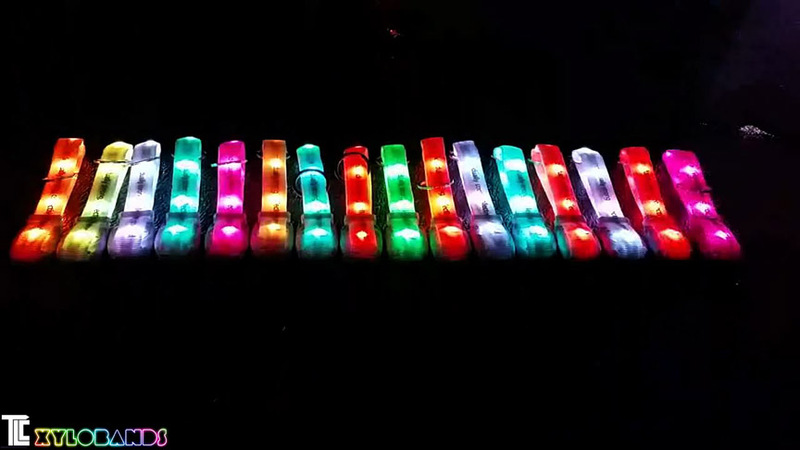 With OVER 10 inches of brightly lit LIGHT AREA, XyloBands provide a bright ‘bracelet’ that surrounds the wrist with light going in every direction, PLUS an additional extended LIGHT AREA that sticks up and out, creating even more light. MOST RELIABLE SHOWS: Xylobands feature Radio-Frequency control for the most reliable wireless signal possible. Imitation bands use the weaker infra-red signals which are weak, much less reliable and lower powered requiring more transmitters and still many bands do not get the signal and stay dark. Not so with Xylobands, lighting up every guest with light and excitement! TLC Creative, in Los Angeles, founded XyloBands USA to directly import XyloBands for use in concerts, events, and shows throughout North America. Already, over a hundred events; public and private, have featured the new technology and the results are in; YES! They motivate people like nothing else. As proven in entertainment shows, and now in corporate shows and meetings, tradeshows, conventions XyloBands bring a new level of motivation.